Bruce Voyce has long believed that art has transformative power, opening the minds and hearts of others. Public art shapes shared spaces into places of inspiration and connection. By exploring the interface between nature and humanity, Voyce’s work, including Nest with Chrome Eggs celebrates life. Voyce’s realization of the public imagination by changing a passing moment into something mysterious and beautiful, utilizes an evolving exploration of materials. Hybrid forms are created that are simultaneously natural and artificial. His sculptures read in a way that is familiar and enigmatic—there is a step beyond self-expression, towards illuminating physical consciousness. Architect Kate Clark. The artwork is seen as a unique feature that connects the arbour to the elements of the surrounding natural landscape. 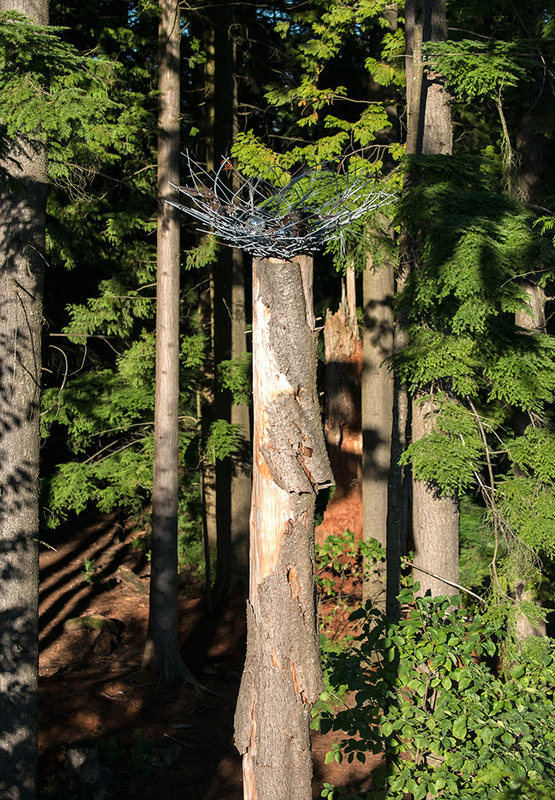 A bird’s nest was chosen to be integrated into an existing large tree stump in the adjacent forest. Creating a sense of wonder and mystery, the metal nest speaks of a fusion of the natural and artificial. The landscape is integrated with the artwork and the artwork is integrated with the landscape. 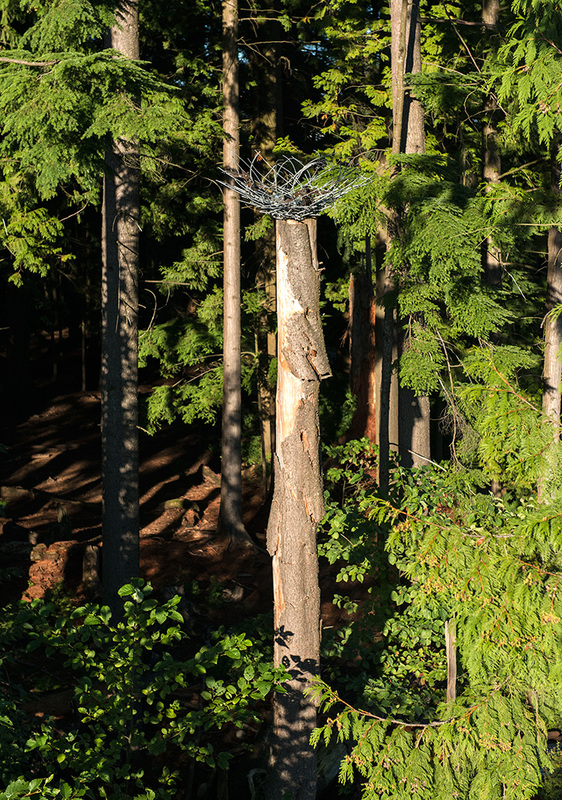 Created with a very modest budget, the artwork has reflective elements that speak of the way that birds such as crows are known to add reflective material into their nests to “adorn” their home with beauty. The sculpture is a playful homage to the idea of home and how we are drawn to customize and beautify our living spaces. The artwork speaks of the very nature of Landscape Architecture and our relationship with nature.